Every human being under the sun certainly hope to have a better life. Too many ways been and done to reach the dream regardless of whether it is legal or ilegal. One such way is to build a business or a regular in the business say whether it's small-scale enterprises, medium or large. The question, for you are a small business owner, whether in running your business is already incorporating online marketing techniques in marketing campaigns?, Or if you already use the technique of online marketing, is there you make effective use of assistive devices available in social media networks belong to you like facebook? Often I find there is a lot of confusion among the new Facebook users on the differences between Facebook profiles, pages and groups. Though all three are very real difference and are easily distinguishable by naked eye. The most important thing to remember is that you have created a facebook profile is meant to provide information to the user in a brightly lit about your personal facebook, so it's not a business. But the fact that many Facebook users use their personal account for business promotion that he run. Yes dangerous, because the account is yours can be removed at any time facebook management. No matter if you are a new follower or friend seongok chili sold in the market, but that number has reached thousands of people later deleted his account. I am sure you are going to cry yelped. Management facebook page is already providing to you for your business promotion through the fans page. Then what is meant by the group in facebook is a meeting place for people who have the same interests and goals. There are two types of groups on facebook that that are closed and open. Closed, meaning that when you make a request to join the group, it will first pass through a moderation process by admin while the group is open, you automatically will directly join the group without moderation. Reasons to create a Facebook page for your business is very abundant, ranging from having the opportunity to build a community around your business, to find more of your target audience, to increase public trust about your trademark. In the early reviews I've said that you need a page to promote your business, not a profile on Facebook. But you need to create a profile page. 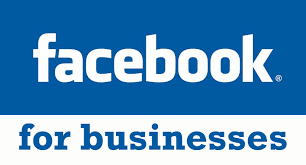 It is important to note that each page on Facebook will automatically be connected to the account. This account is the place where the payment would be useful to extend the reach of your business promotion. In other words that the facility paid facebook fan page. If you do not want me to pay how? That's not a problem, but you will not be permitted to use the facilities management business promotion facebook provide. After your facebook page completely made then the next step to use the app to add your business visitors. For example create a poll, add e-commerce, create a blog feed and even use Facebook for teleconferences and meetings. Many things changed in the arena of social media every day, but one thing is for sure it takes a lot of work and consistency to run a Facebook page and develop it into a community. It all starts with making adjustments pages let your business very memorable, relevant and favorite place for fans. Advertising on Facebook is one of the best ways to expand your business. Without any effort to advertise then do not ever dreamed of stretching your business will thrive. Facebook already provides a number of tools to help you do this effectively. In fact, Facebook itself will guide you step by step on how the promotion through advertising. The biggest challenge here to manage your business site is taking care to make sure all the interactions you look professional. Make sure you are always present to your customers, answering any questions they launched, providing the best services without ever bored.